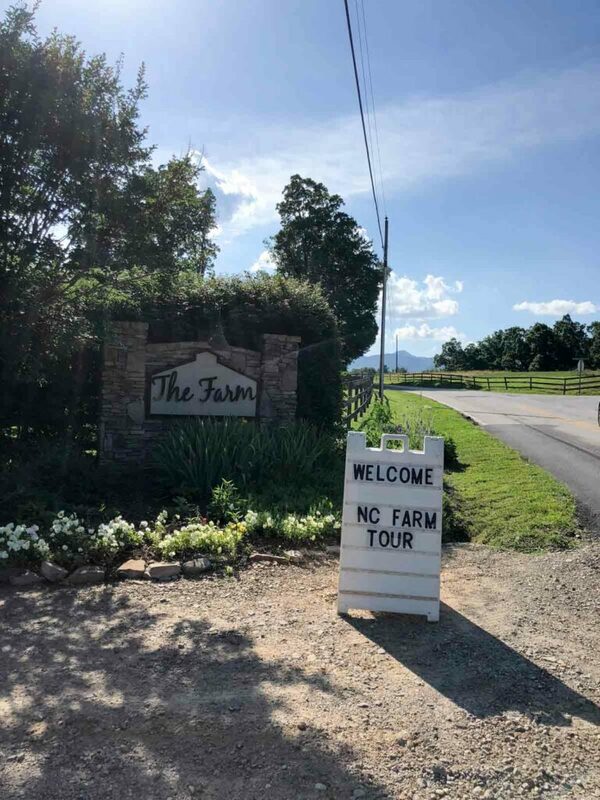 Just outside of Asheville, North Carolina is a beautiful wedding and events venue called The Farm: A Gathering Place. This tour was part of the wheat and dairy farm tour I went on in June. See my post of the New Belgium Brewery tour too! 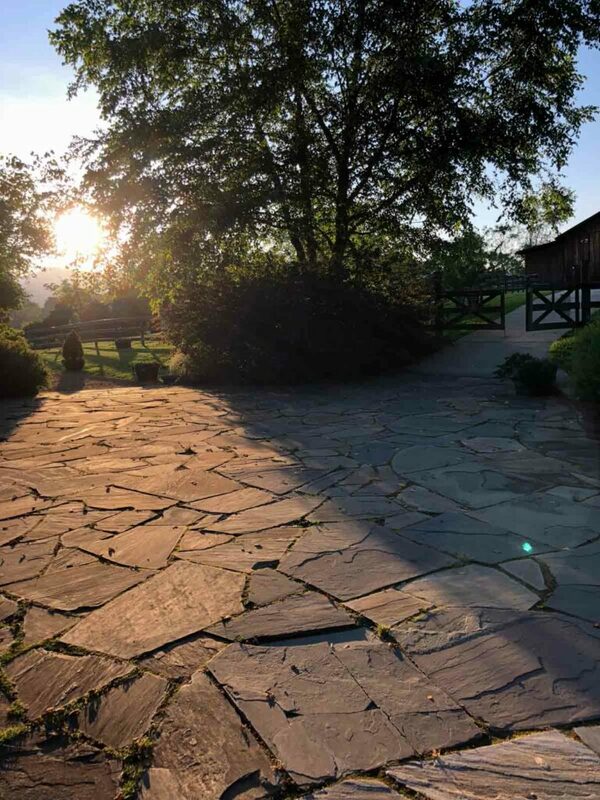 I’d actually been to The Farm for a wedding a few years back so I already knew it was a pretty, scenic campus. 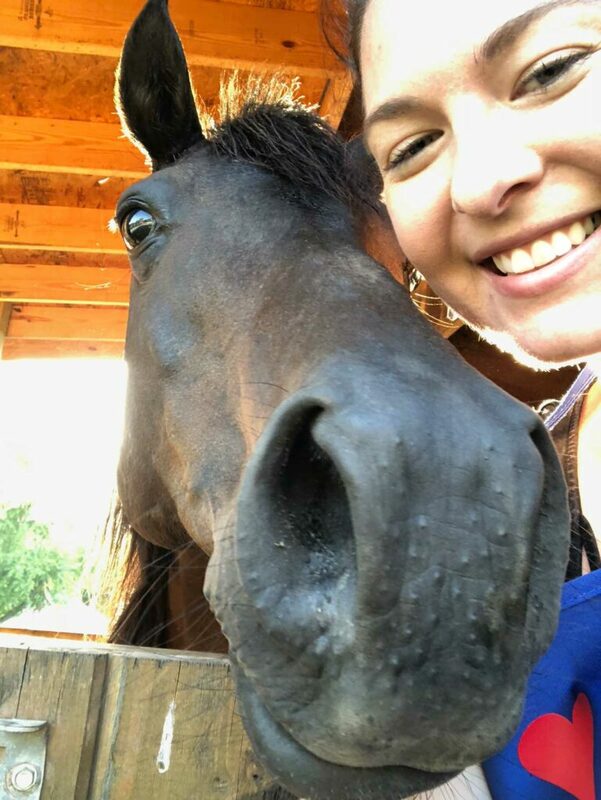 I was excited because this time, we got a behind the scenes tour of their onsite cabins, met their horses (and new baby horses! ), and had a make your own pizza dinner! 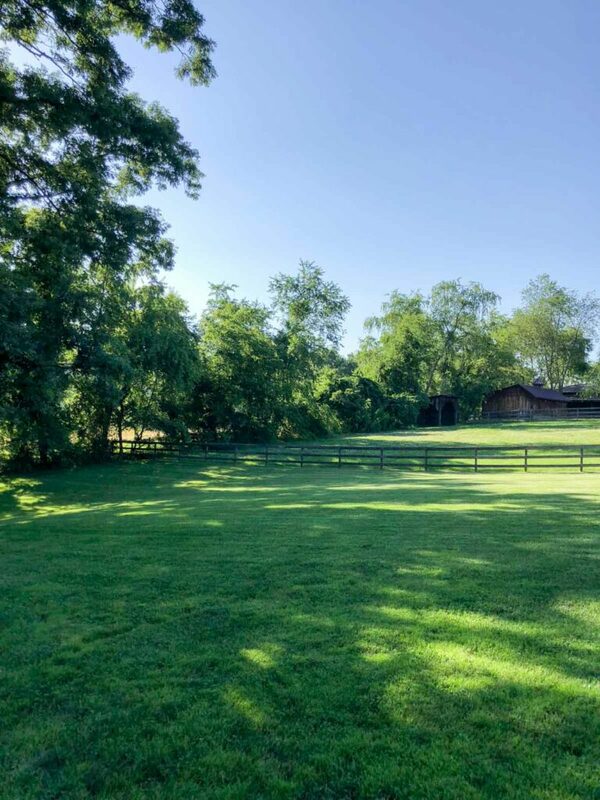 There is a lovely outdoor area as well as indoor space to hold a wedding and/or reception. 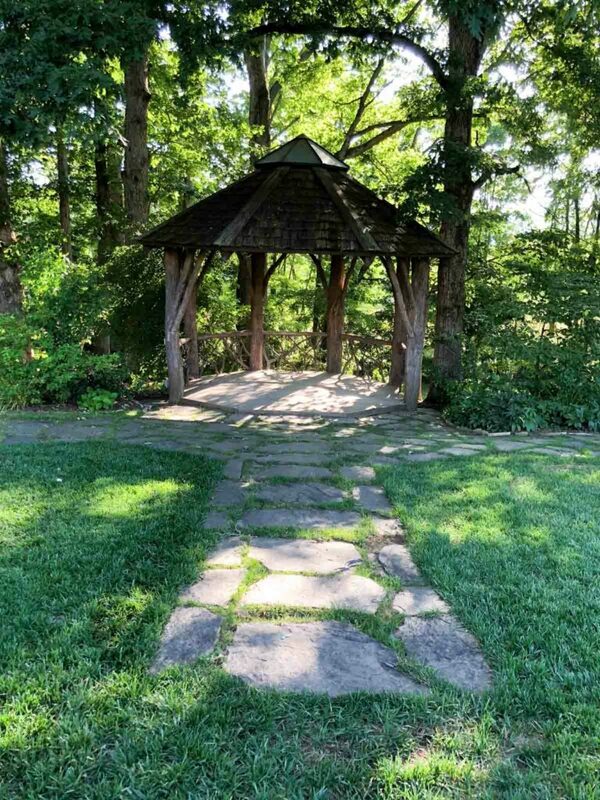 The gazebo is a popular spot for the bride and groom to exchange vows! 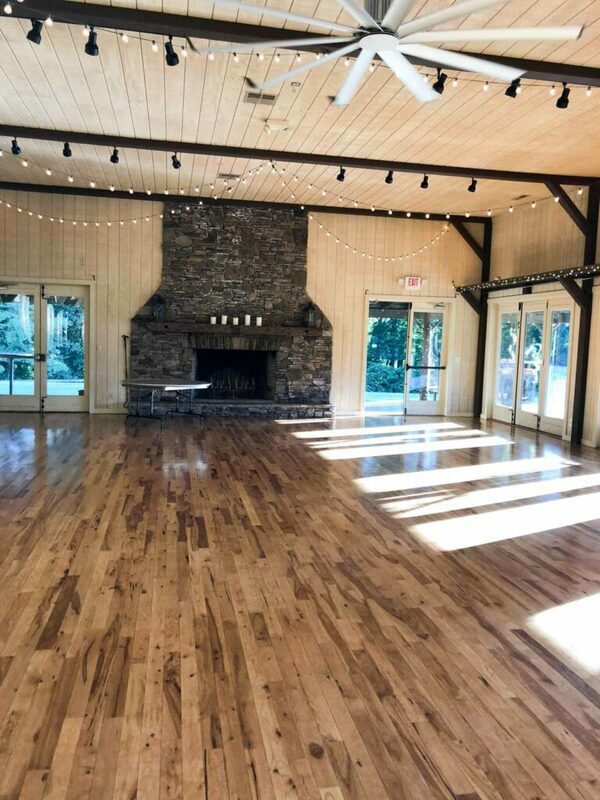 Not only is this rustic events venue an award-winning wedding and events location in the Blue Ridge Mountains, they also have on-site cottages. There are 7 cottages total that can sleep up to 35 guests! I was amazed by some of the handmade touches they have added to these buildings over time. 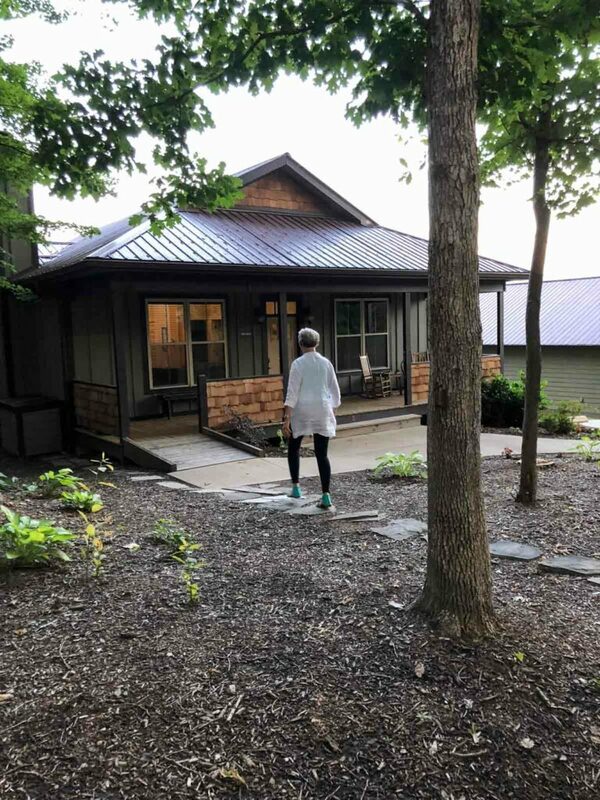 They open these cottages up as a option for the wedding party to stay, but they are also available to rent on Airbnb for tourists! 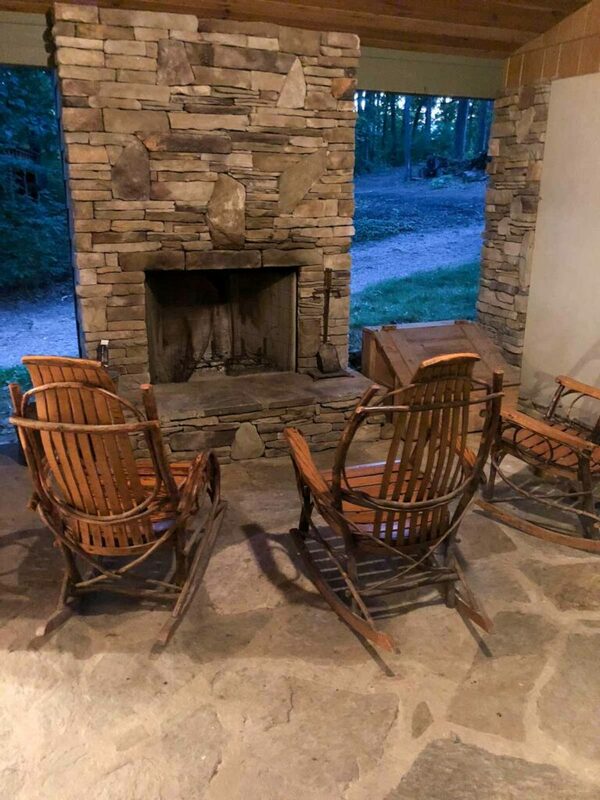 I love an outdoor fireplace! 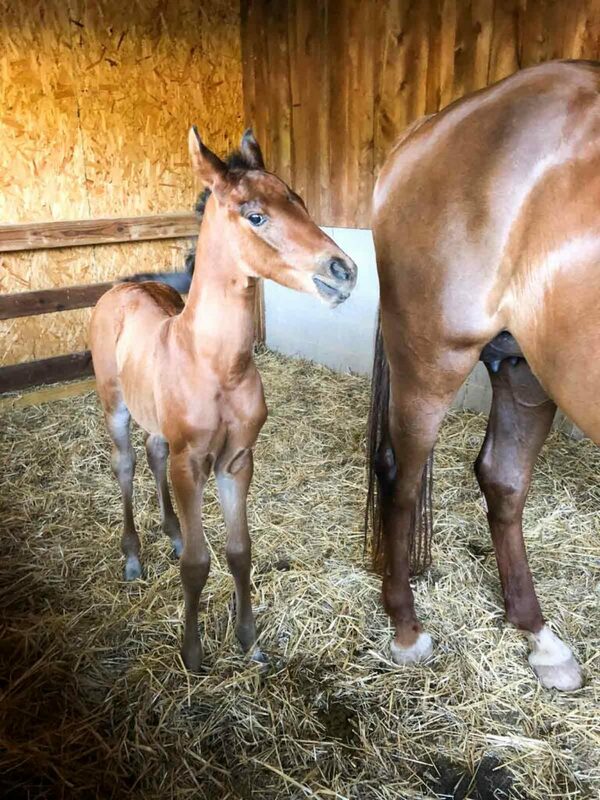 There are 11 horses that live on the Farm’s property (as of June 2018) and we were lucky enough to visit on a week where they had TWO new additions! 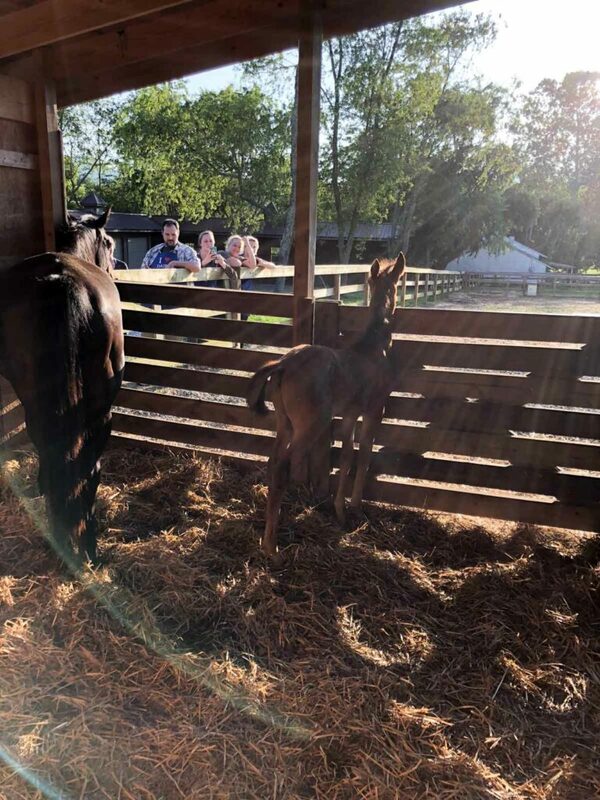 The first baby horse we saw was only 6 days old! She was a little shy and wasn’t in the mood to show off those long legs of hers. 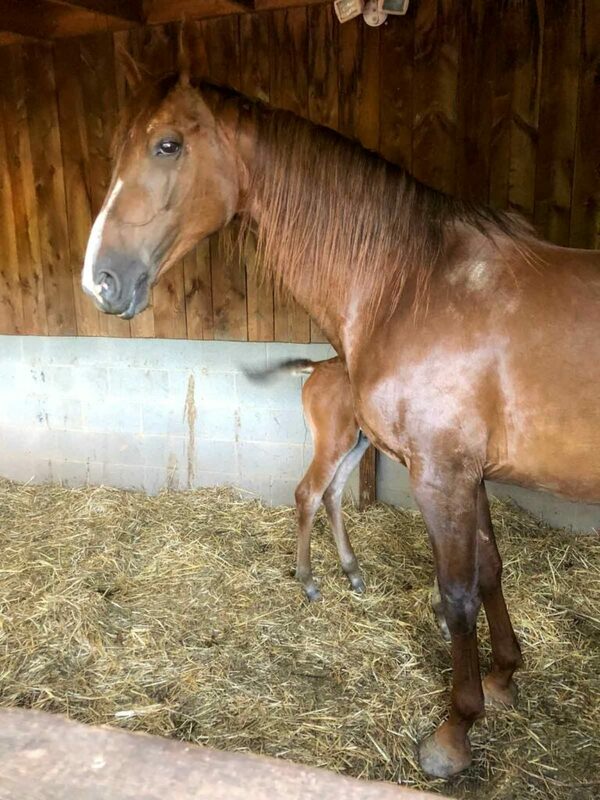 The next momma and baby horse were feeling much more sociable. This baby was a month old. While I was trying to photograph the mom, she came right up to me almost giving me a hug! Too close for a portrait, I took this as a sign she wanted to take a selfie. I’ll be honest – our group all agreed that the chef must have been having a bad day. At least that’s the best I could hope, because (to put it very nicely) we didn’t really get a lot from our pizza making lesson. We were, after, all, mostly a group of food bloggers who have made at least a pizza or two at home before. Since we were on a dairy and wheat farm tour, we thought we would be learning about the different types of flours and different cheeses to use on pizza. We were given pizza dough with all-purpose flour and mozzarella cheese and basically told DON’T PUT TOO MUCH ON! 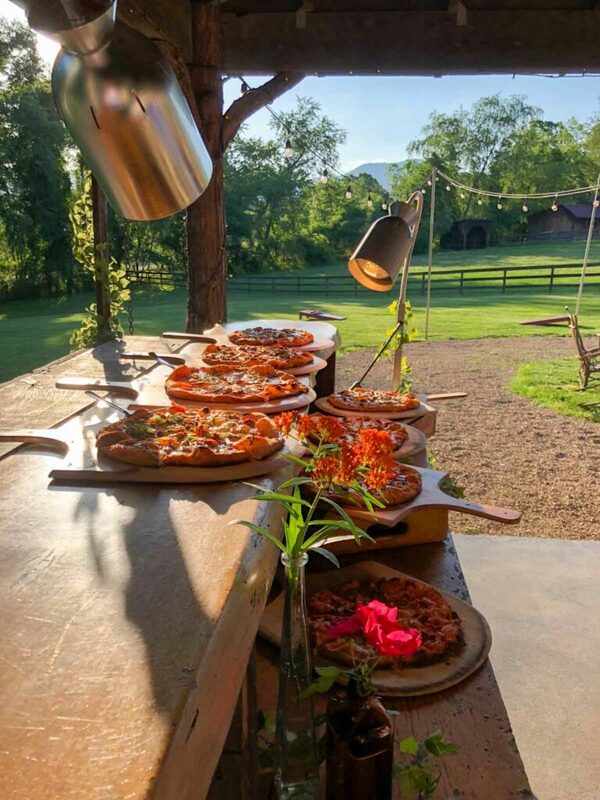 It was still good pizza though – there’s nothing like a wood-fired oven! But the chef didn’t make any friends. 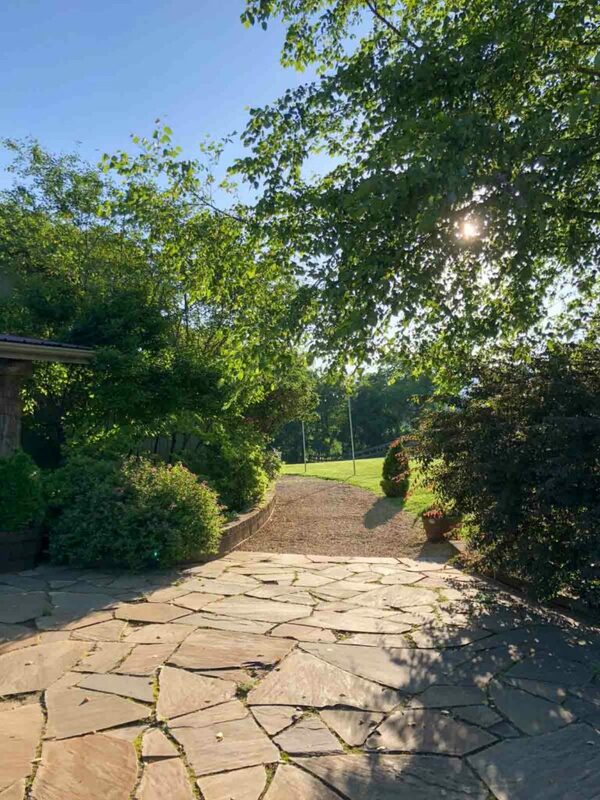 If you want to visit The Farm while you’re in Asheville, plan an event here or stay in one of their cottages, check out their website! 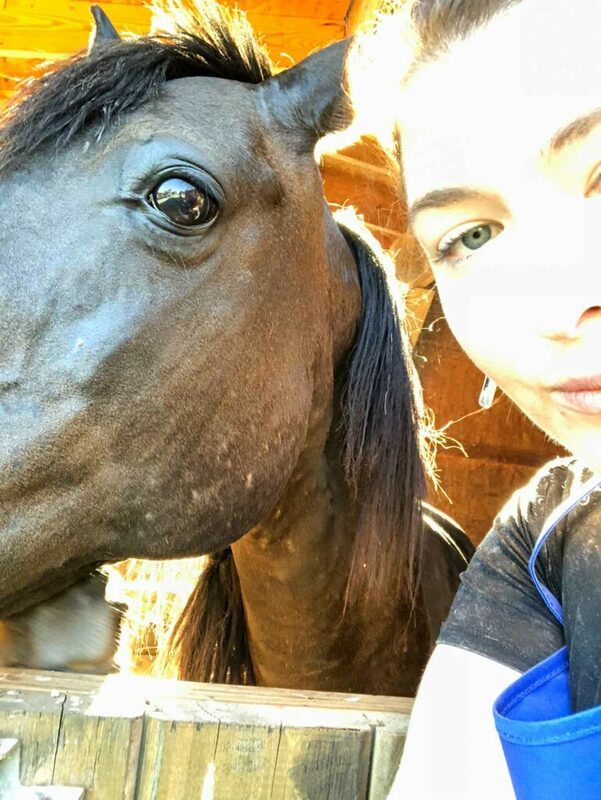 The owners are super nice and very proud to show you around. 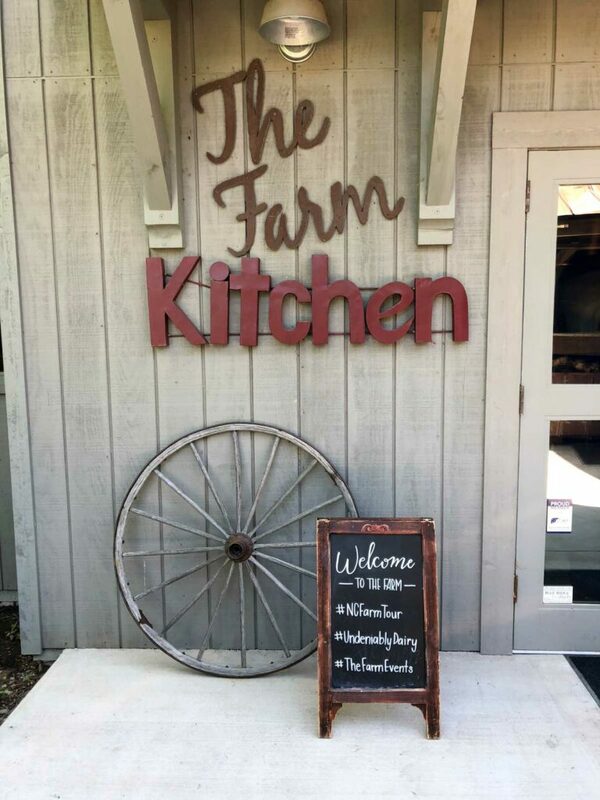 Have you ever visited a place like The Farm? Tell me about it in the comments!